While Phil is doing training for a new job at his work, I have Ava three days a week instead of the usual one day a week. I like to do stuff with her but the weather is cold and snowy here. That's the time to turn on the oven and make some goodies. There's a small kid-size table which I brought into the kitchen. After cracking the eggs into the bowl I gave Ava a spoon to beat the eggs. Then she mixed the flour to get rid of the lumps and, finally, we added the blueberries to the mix. After a couple of attempts to get the batter into the muffin tin, I helper her out a little. Into the oven they went and the waiting began. 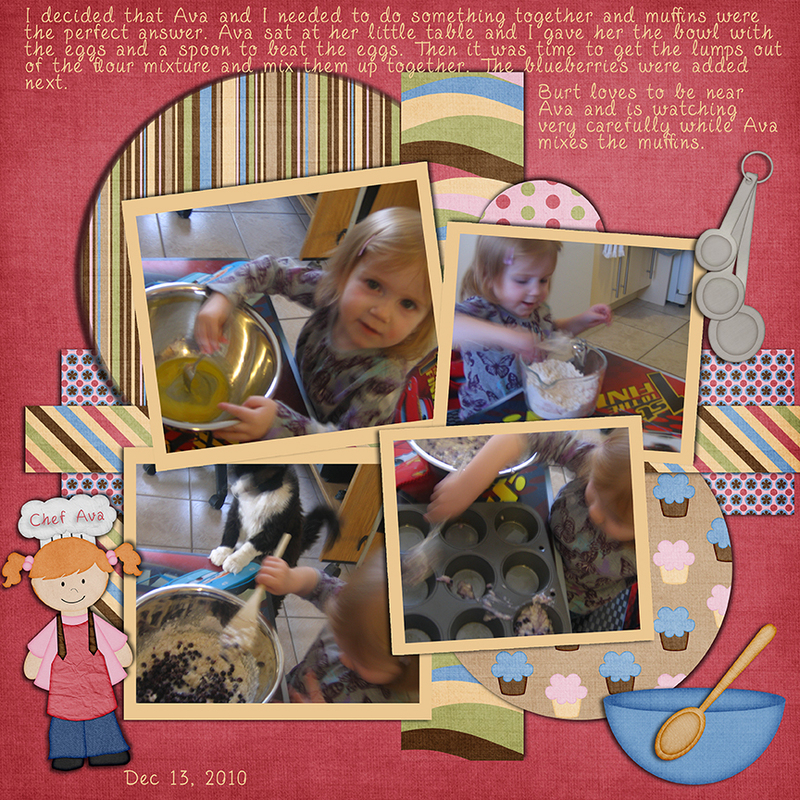 Here's a pictorial story of our muffin-making. 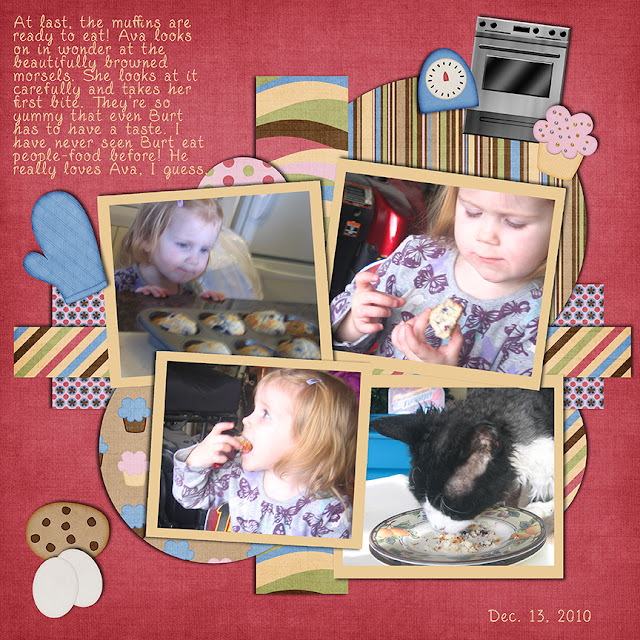 The muffins were delicious, Ava was pleased with herself and even Burt had to have a bit! Wonderful, wonderful success! This is so not Ava!